Epic Carpet & Tile Care enjoys one of the best reputations around. The area’s most seasoned Carpet Retailers, Realtors and Property Managers refer our services exclusively. Our reputation ensures that you can trust our company to provide you with the most outstanding service experience ever. Epic Carpet & Tile Care has been in business for over 14 years and is experienced in all flooring and fabric types as well as every soiling condition known to our industry. Epic Carpet & Tile Care is certified by the IICRC, the Institute of Inspection, Cleaning, and Certification – The world’s most Recognized body of certification for Carpet and Upholstery cleaners. We hold multiple Master & Journeymen Cleaning Technician designations, which are the highest certifications available. Epic Carpet & Tile Care’s cleaning systems are the most advanced on the market getting MAXIMUM SOIL REMOVAL and MAXIMUM SPOT REMOVAL without leaving a sticky residue or over-wetting your carpet. 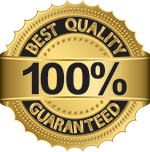 Epic Carpet & Tile Care offers a 100% money-back guarantee. If you are not completely satisfied, we will return at no charge to address that area. If you are still unsatisfied, we will honor our money-back guarantee. Epic Carpet & Tile Care is a professional carpet, upholstery, tile & grout cleaning company. We serve greater Phoenix and surrounding areas. Valleywide service. 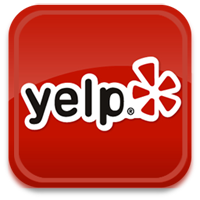 Epic Carpet & Tile Care has been in business since 2001. We take the time to do it right. Epic offers a 100% money back guarantee. If you are not completely satisfied, we will return at no charge to address the situation. If you are still unsatisfied, we will honour our money back guarantee.